This month’s property of the month truly lives up to its name – allowing guests to be immersed in a wonderful royal affair! Named after the gallant explorer, Dr David Livingstone – the legendary pioneer who named Zambia’s iconic waterfall in honour of his queen – the Royal Livingstone Hotel pays tribute to his glorious era, evoking a superb Victorian elegance and boasting an impeccable colonial style. This imperial accommodation will immerse you in the romance and style of a time gone by. 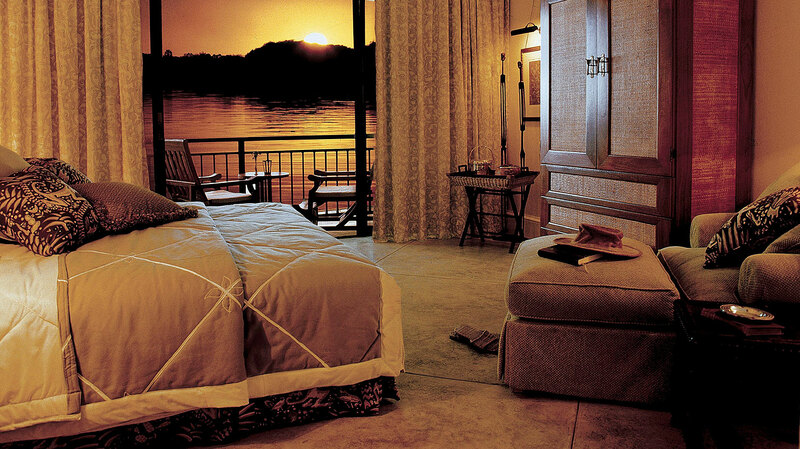 Adorned by canopies of Acacia trees, the raw grandeur of the bush fuses with the luxurious opulence the hotel offers. Set along the Zambezi River, perched on the lips of the Victoria Falls, this piece of heaven will take you back in time with its antique décor, personalised service and the deafening roar of the ‘mist that thunders’. Begin your day at 06h00 in the Livingstone Lounge as the radiance of the African dawn envelopes you in an embrace of subtle Zambezi mist. The lounge presents history through leather-bound tomes, hand-drawn maps and aged paintings and the outside area is the perfect space to drink a quiet coffee while Zambia wakes. The boundless manicured gardens, where wild Africa blends into modern comfort are centred on a crystal pool that overlooks the leisurely waters of the Zambezi just as they gather momentum before cascading over the cliffs. Likewise the main terrace, beautifully decorated in dark wood and shades of the Victorian era, offers a gentle space from which to contemplate this astonishing place – especially when some of the hotel’s zebra or giraffe amble by. 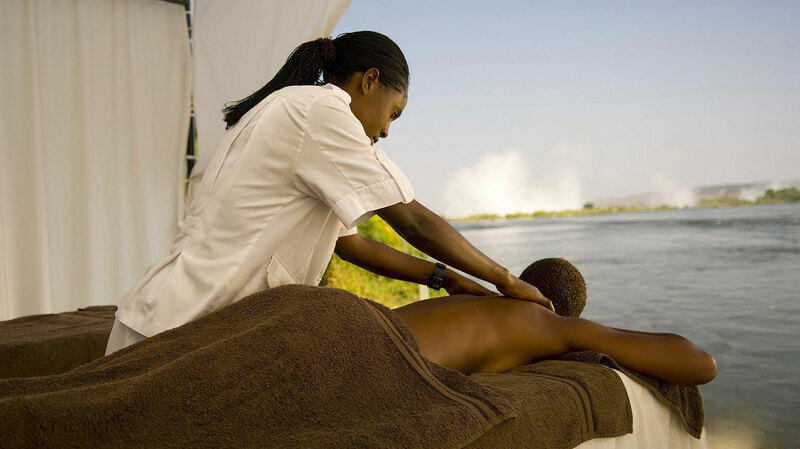 If you choose to remain at the Royal Livingstone and absorb the concord of Africa, then a beauty or wellness treatment in the private gazebo overlooking the gently flowing river or in the seclusion of your own room is a brilliant opportunity for mind, body and spirit rejuvenation. The sundecks, suspended out over the river and looking onto the ginger sunset mist, are brilliant places to reflect on the day’s adventures while dusk turns the flowing water from silver-yellow to inky-indigo – the first stars dancing on the rippling surface. When you arrive back from exploring after sunset, sip a pre-dinner single-malt, cocktail or fine chardonnay in the atmospheric Traveller’s Bar while the piano conjures an atmosphere of bygone pioneering in the evening cool. After your drink, a sublime meal that combines the flavours of Europe, Africa and even India, awaits you in the sumptuous dining room or, under the candle lit boughs of the Monkey Tree. 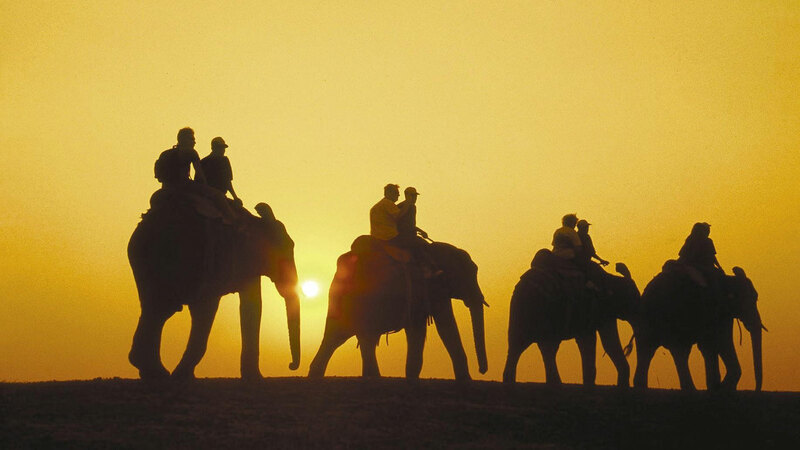 The Victoria Falls offers an astonishing number of exciting activities for all ages and all tastes. 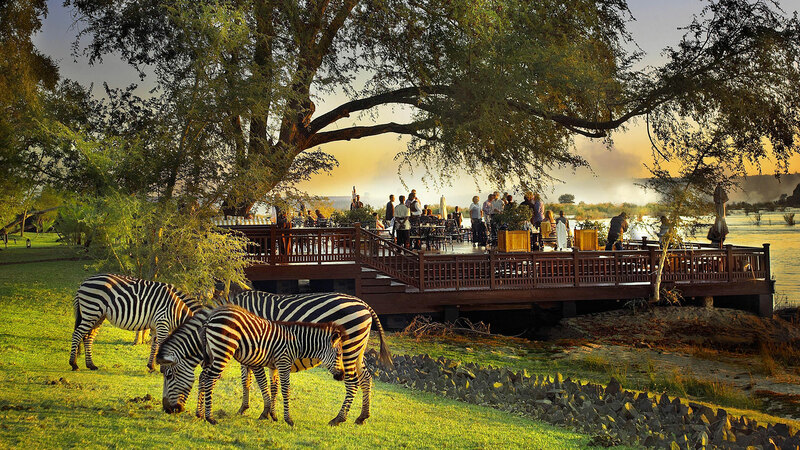 Royal Livingstone’s superbly staffed and run Activity Desk will recommend combinations of nature, fun and adventure for you – normally no more than 15 minutes away.